With Asia being the birthplace of Siddhārtha Gautama, the founder of Buddhism, it is understandable that the continent is still brimming with much spiritual philosophy and tributes today. So what to explore on Asia custom trips? From astounding architecture dating as early as the 1st century BC to modern day monasteries where you can observe monks meditating peacefully in large prayer halls, there is much opportunity to embrace your inner Buddha. To celebrate Boun Khao Pansa – Buddhist Lent – in Laos during the month of August, Enchanting Travels has picked its favorite historic Buddhist destinations. Bodhgaya in Bihar, India, is the ultimate pilgrimage for Buddhists and individuals interested in learning more about Buddhism. Visit the seat and Bodhi (banyan) tree where Buddha sat during and seven days after he attained enlightenment through his deep meditation. Within the complex you can visit the Maha Bodhi temple, an architectural accomplishment boasting an impressive image of Buddha touching the ground. 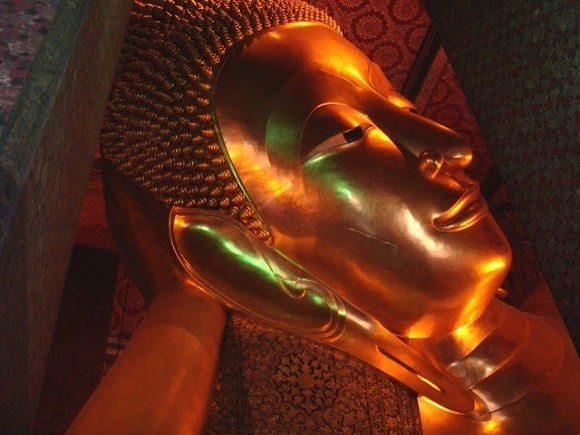 Within Bangkok in Thailand you can discover Wat Pho, also known as the temple of the reclining Buddha and one of the largest and oldest wats (temples) within the city. Wander around the Buddha’s whole golden body from his tight curled head to his beautifully ornate feet that have been inlayed with mother of pearl. Elsewhere within this peaceful complex you may quietly join monks meditating within the prayer hall. Did you know? Wat Pho is also the birthplace of traditional Thai massage! 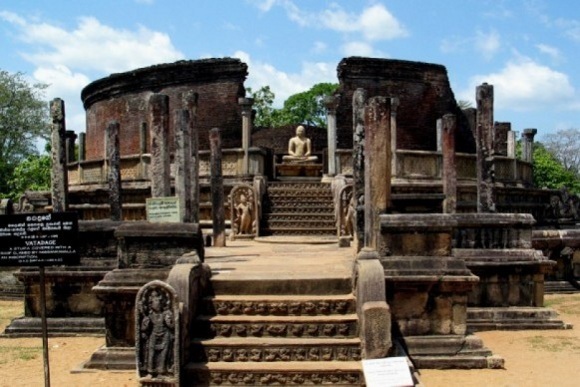 Within the city of Kandy in Sri Lanka lies a royal palace complex that boasts the Temple of the Tooth, believed to house one of Buddha’s teeth that was snatched from his funeral pyre and smuggled into Sri Lanka. Despite the Buddha’s own requests that no one should worship his ashes, the relic of the tooth rests within solid gold caskets encrusted with jewels and is kept within a two storey inner shrine protected by elephant tusks. Visit here and take a step back in time. Enchanting Travels Top Tip: Visit Kandy during the Esala Perahera (usually in July or August) when you can witness a Buddhist festival and a grand procession dedicated to the tooth. Your Asia custom trips are incomplete without a visit to this site. One of the oldest examples of Buddhist architecture is the UNESCO World Heritage Ajanta caves in Maharashtra, India, dating from around 1st or 2nd century BC. There are 30 caves all painted and sculpted with early Buddhist religious art any many that illustrate the early life of the Buddha during his royal days. These are considered to be masterpieces of world art. 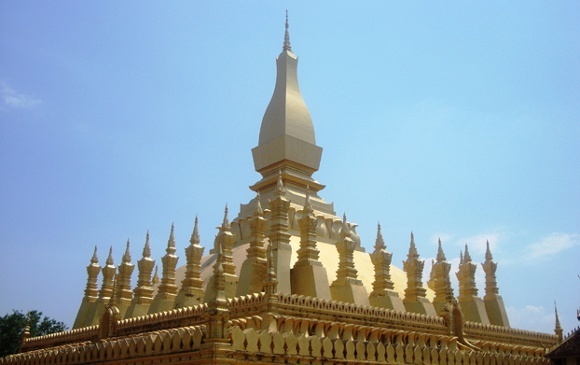 The Pha That Luang temple is the symbol of the Laos nation. Understandably so. Built in the 16th century and restored in the early 1900s after its destruction by Siamese leaders, the fifty meter tall golden stupa of Pha That Luang is a spectacle in downtown Vientiane. Legend suggests some of Buddha’s breastbone was enclosed on the original site in 3rd century BC. Enchanting Travels Top Tip: Visit during November when the nation’s annual fair takes place. Outside the temple there is a popular night market whilst inside hundreds of people walk around with lit candles. Beautiful! Not far from Varanasi, you can visit Sarnath, the place where Buddha first taught his Dharma to his followers. Once a deer park these gardens are an ideal meditation spot. Perfect to amble around at your own pace you can take in modern temples as well a museum that features Indian Buddhist art treasures. In Sri Lanka’s ancient kingdom boasting well-maintained gardens with a plentiful number of kingfishers you’ll find a hidden world. In the northern section of the complex known as Gal Vihara, 12th century Buddha statues of varying mudras (postures) have been carved out of granite rock, adding further tranquility. Southwest of Hanoi in Vietnam in a charming village and at the foot of a mountain lies the 11th century Thay Pagoda, which consists of three areas. One section is for making offerings and hosting ceremonies whilst another is for worshipping the Buddha. The third area is for worshipping an ancient priest with supernatural powers called Tu Dao Hanh. The pagoda is set within a beautiful area with a large pond, where you can observe water puppet performances. Enchanting Travels Top Tip: Plan your visit during the Thay Pagoda festival, which occurs annually and includes many ceremonies, rituals and recitals. Within Luang Prabang in Laos, the 16th century Wat Xieng Thong (or “temple of the golden city”) is just one of the wats that oozes elegance within this ancient regal capital. It’s one of the most important monasteries in the nation and includes many monuments within gorgeous, ornamental gardens. The temple highlights Laos art and craft as well as many Buddhist symbols such as the Dharma wheel and a glass mosaic depicting the tree of life. The journey up steep steps to observe the colorful prayer flays blowing in the breeze and the wonderful views across Kathmandu in Nepal is worth it. 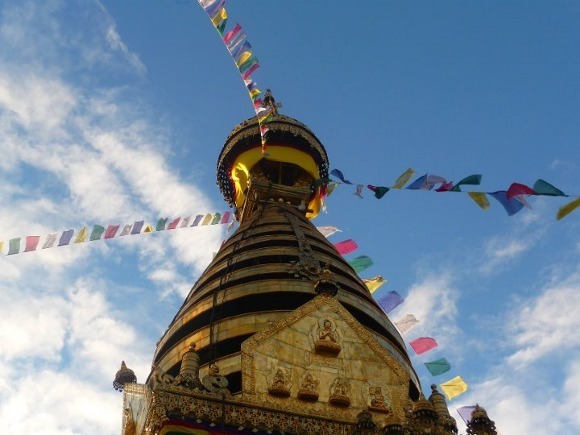 As one of Nepal’s oldest religious sites and Tibetan Buddhist’s most revered pilgrimage centers, there are many shrines and temples nestled around the main stupa. The painted eyes and eyebrows of Buddha and the Nepalese symbol for unity watch peacefully over Kathmandu. Watch wizened monks in red robes walk around ringing the prayer bells. The stupa is also known as monkey temple for the holy monkeys that inhabit it. The ancient rock palace and fortress of Sigirya (or Lion’s rock) in Sri Lanka is similar to India’s Ajanta caves. 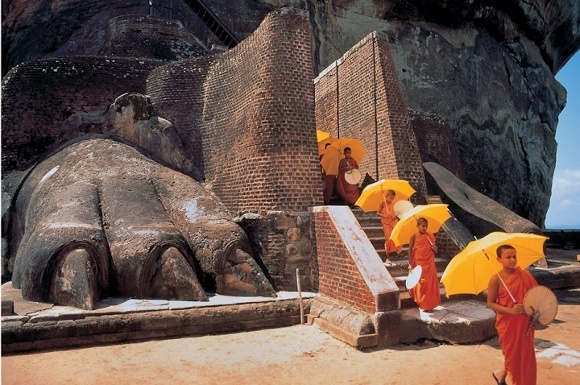 It was used as a rock-shelter monastery for Buddhist monks from 5th century BC until 14th century. As you climb to the top you’ll pass numerous ornate paintings that have stood the test of time. A sculpted lion’s head once existed, although its giant paws still mark the entrance to the final climb to the top. 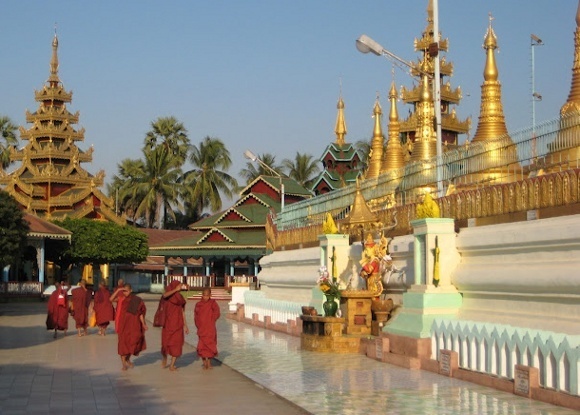 On a hill above Yangon in Myanmar stands the 99 meter golden stupa of Shwedagon Pagoda that shines out over the city. You may not be a spiritual seeker yet its architectural magnificence is reason enough to visit. Bejeweled by diamonds, rubies and sapphires and even an emerald that shows its glory during sunrise and sunset visits, there is a theatrical element to the stupa. Follow in the footsteps of the Buddha and experience ancient Buddhist spectacles with Asia custom trips.